Achieving determined targets according to plans determined by the company’s management also within the company’s policy. Increasing the rates of the company products sales through pharmacies and private clinics to Support in achieving the targets of the company. Making regular visits to all the customers (physicians, pharmacists, hospitals and Distribution Company) and delivering them the message of the company’s policy. Providing and informing doctors with the studies and scientific researchers of each product. Following up regularly all the new competitive products in the market and all the related activities with sending a report to the company. Being committed to a decent personal appearance that befits the image of the company. Continuing search for sales opportunities available in the market and working to make the best use of them and increase their results. Reporting the rate of the customer’s response to the company’s products and related activities. Satisfying the needs of customers (Doctors and pharmacists) in a way that matches the company’s policy. BSc. Pharmacy, Vet. 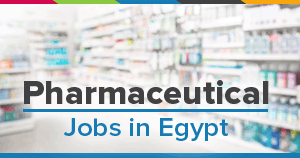 Medicine - Fresh Graduates, and up to 2 years of experience as Medical Rep.
BSc. Science (Chemistry, Biology) with minimum 1 year of experience as Medical Rep.